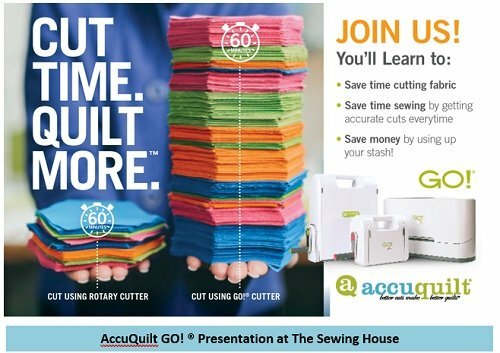 Join Pam Heller, AccuQuilt Cutting Expert, as you'll learn tips and techniques to get the most use out of your fabric using the AccuQuilt GO! Fabric Cutters. Also Receive a $10.00 Coupon For AccuQuilt GO! Products. Requirements: Bring a smiling face!